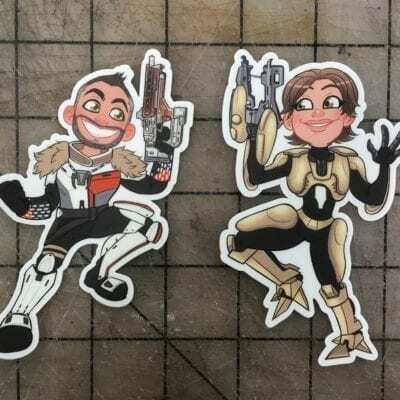 Bill and Britt are stickers now! 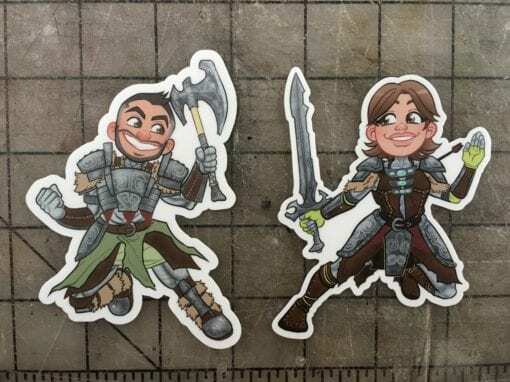 These are the cartoon version of us in our Skyrim costumes. The art was done by our amazingly talented artist friend Jakface McGee!